Broadway Director Neil Goldberg, has searched the world to assemble the most unique cast of incomparable cirque artists and theatrical talent to wow audiences nationwide. This critically-acclaimed extravaganza is a BROADWAY MUSICAL AND NEW CIRQUE ADVENTURE WRAPPED INTO THE ULTIMATE HOLIDAY GIFT FOR THE ENTIRE FAMILY. Over 300 imaginative costumes, 20 world-class astonishing acts, the finest singers, original music and seasonal favorites celebrate Thanksgiving, Chanukah, Christmas and New Year's in a 2 hour breathtaking spectacle. Audiences of all ages will marvel at soaring acrobatics, gravity defying feats and extravagant theatrical production numbers the Boston Globe hails “Entrancing … Las Vegas meets family entertainment." 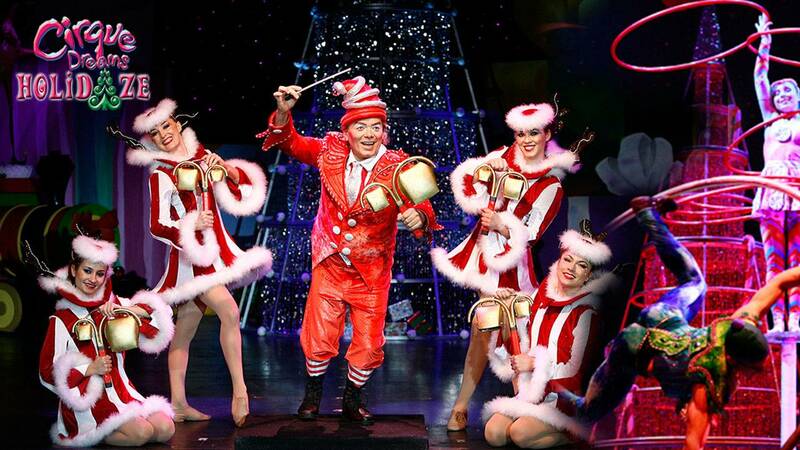 Experience this unique multi-million-dollar live stage production that dazzled at the Kennedy Center, sparkled at the Grand Ole Opry House and BroadwayWorld calls “The Perfect Holiday Gift…a show that everyone will enjoy. Enter for a chance to win a family four pack of tickets to see Cirque Dream Holidaze on Friday, December 28 at the James L Knight Center.